Preheat oven to 400°F. 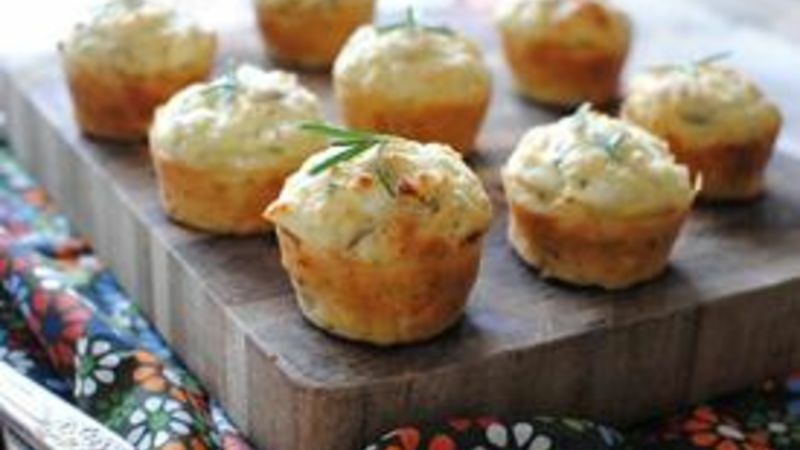 Gather your ingredients and lightly coat a mini muffin tin with cooking spray and set aside. Melt the butter in a small skillet over medium high. 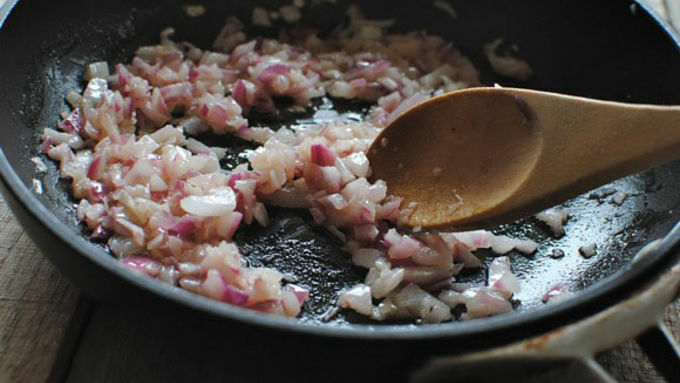 Add the onions and sauté until soft, 4 minutes. Remove from heat to let cool. In a large bowl, sift together the flour, baking powder and salt. 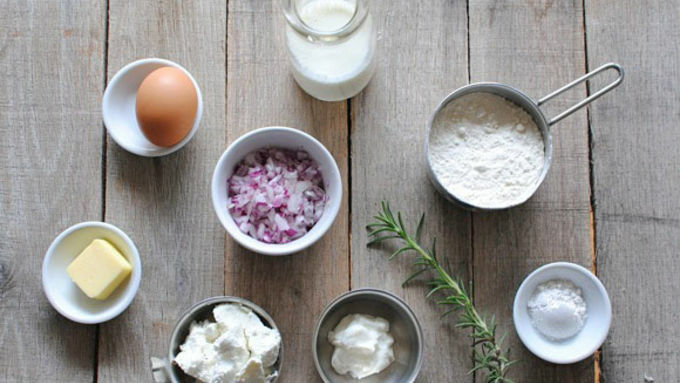 In a smaller bowl, whisk together the egg, milk and Greek yogurt. Pour wet ingredients into the dry ingredients and gently fold to mix. Do not over mix. 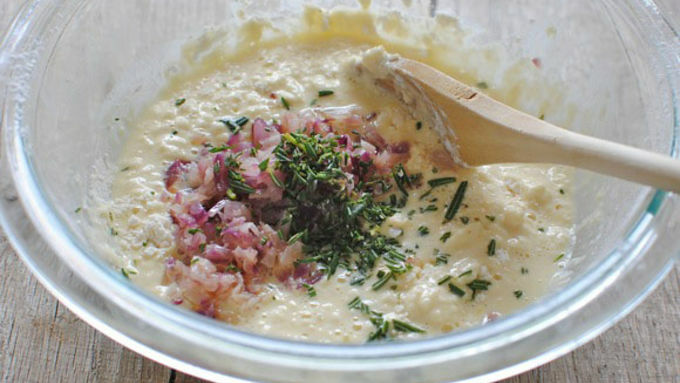 Add the onions and rosemary to the bowl; lightly fold them into the mixture. 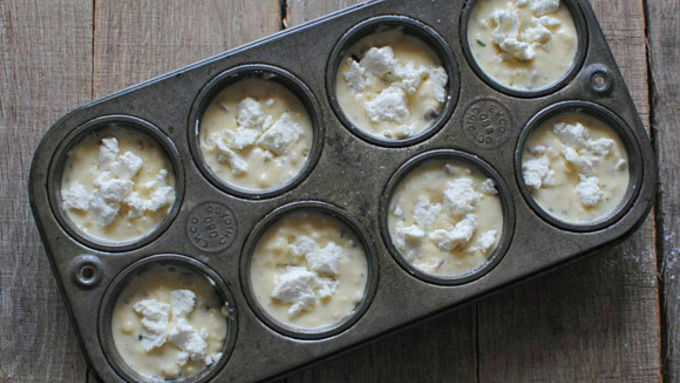 Evenly spoon the batter into 10 muffin tins. Nestle the goat cheese dollops into the batter. Bake for 20 minutes, or until golden brown. Garnish with fresh rosemary and serve immediately. I . . . wrote you a nursery rhyme. It goes like this. Little Miss Muffin, sat on a tuffin mixing her flour and salt. Along came some goat cheese that said, "add me please!" And caused her to jump to a halt. Little Miss Muffin, sat on a tuffin whisking her eggs and milk. Along came red onion that said, "I'll be such fun, hon!" She passed out into an unsightly wilt. Little Miss Muffin, sat on a tuffin folding her batter together. Along came Rosemary that said, "stick me in there, I dare ye!" It scared her so bad she turned to leather. Apparently Miss Muffin is like, super jumpy. OMG these are so good let's maaaake them. The cheese is going to be slightly browned and beautiful on top so that when you bite into these muffins you're going to seriously go blind with bliss. 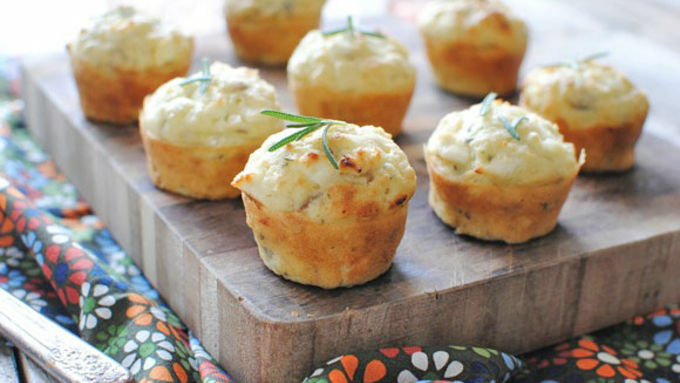 Little Miss Muffin wants you to make these.